Cloud9 have announced on June 13 that they have changed their starting lineup and are including three Cloud9 Academy players in their LCS roster on Week One. 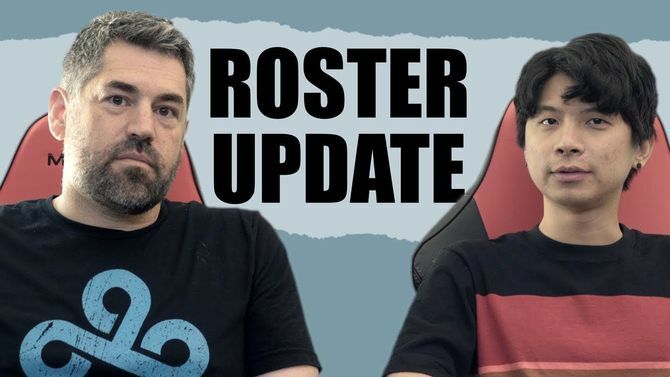 The decision was announced on YouTube unexpectedly, as little filtered outside of Cloud9 to indicate that a roster change was on the horizon, especially of this magnitude. "The reason of the change in the roster was [that] the academy team players are working really hard," said head coach Bok "Reapered" Han-gyu. Throughout our preseason efforts, it really showed that these academy players were putting a ton of effort and playing very well as a team together. We wanted to put together the best possible team for our Week One on stage, and these players are the best to put on stage. They are performing better than our old roster was, and they put in the hard work and effort to get to where they are, and they earned their spot to play this weekend. The change is not permanent; Jensen, Sneaky and Smoothie can still contend for their spots in the upcoming weeks, and they are still members of Cloud9, contributing to the team's daily performance. Etienne and Reapered also highlighted that the lineup was more driven to perform on stage. Whether the recent patch is to credit for the change, or whether academy players stepped up in a significant enough manner to warrant this surprising turn of events remains to be seen. Cloud9 were red hot during the early parts of the 2018 spring split with a 7-1 start by the end of Week Four. In the end of Week Eight, they were still in contention for the top spot in the league, standing tall with an 11-5 record, and a single victory on Week Nine would have allowed them to qualify to the semifinals. However, back-to-back losses meant that they had to play in a four-way tiebreaker for third place, eventually settling for fifth place. The team eventually fell in the quarterfinals in three close games against eventual North American champions Team Liquid 0-3.